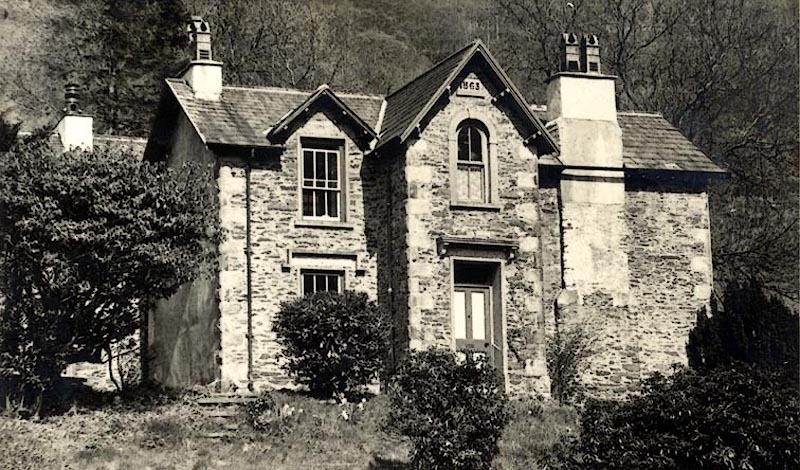 Postcard, black and white photograph of the Vicarage for St. Mary's Church, Longsleddale (now Capplebarrow House), showing the datestone "1863". It was not posted. The photograph may be between 1900 and 1910.